“A rising tide lifts all boats.” We all grow together. It has been my experience in Aikido that by training together, learning, and teaching, we all develop our skills and expand our understanding. Students learn by participating in class. Senior students, or sempai, benefit from helping newer students, or kohai. Teachers grow from teaching. The whole dojo community is elevated, like boats on a rising tide. 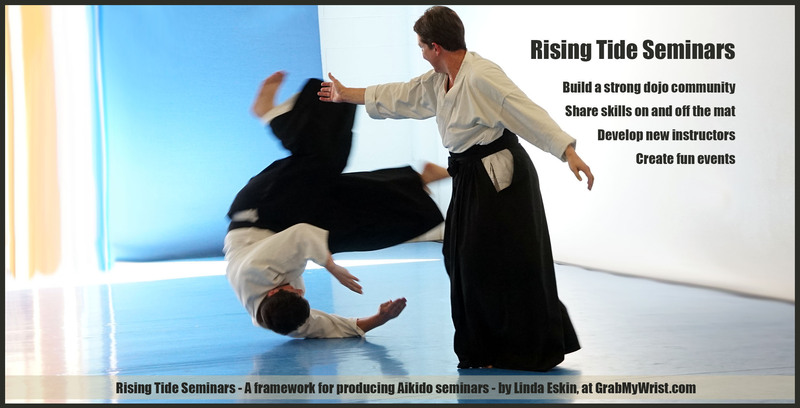 I am bringing that learning paradigm to the process of running and teaching at Aikido seminars. Experienced teachers and senior dojo members can coach and mentor up-and-coming teachers and new dojo members in producing friendly, local Aikido seminars, and presenting classes of their own in a supportive environment. It’s usually the same few people managing events. By sharing knowledge throughout the dojo you develop a stronger team, distribute the workload, and get better results. 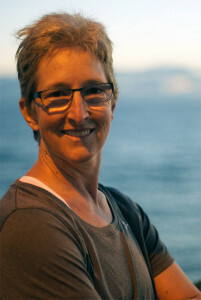 Senior students and newer instructors can have an opportunity to create a class, training session, or presentation, bringing their unique perspective to teaching while gaining valuable experience. This page will provide a guide for producing your own Rising Tide Seminars, along with idea lists, checklists, worksheets, registration forms, etc. Your whole dojo community can come together to learn new roles while creating and participating in very special seminar. The framework can be customized to fit your dojo and your goals. It can be extended to co-creating a local friendship seminar with other schools. Even the children’s program could produce a mini-seminar of their own, with experienced adults mentoring kids in each role.